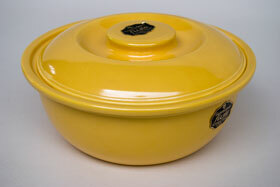 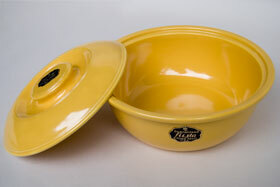 Fiesta Kitchen Kraft Yellow Covered Casserole. Covered casseroles have always been a staple item in dinnerware lines, and the fiesta line doesn't disappoint us with it's many variations of the classic item. 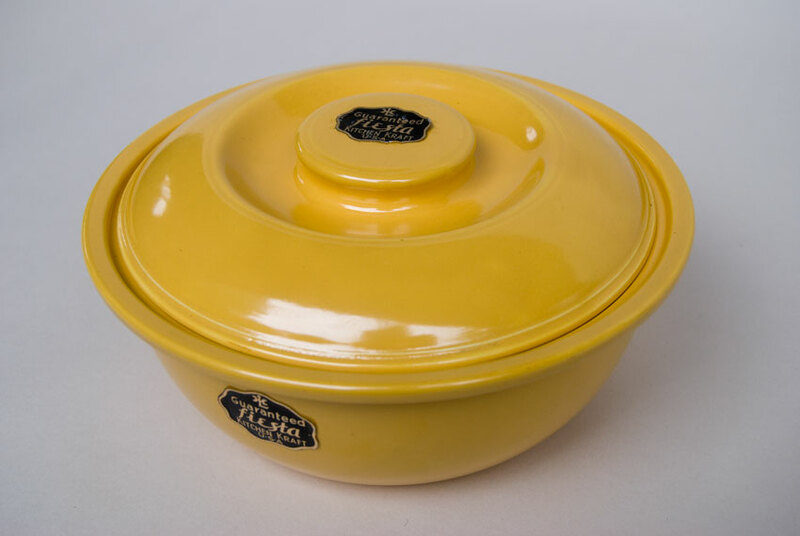 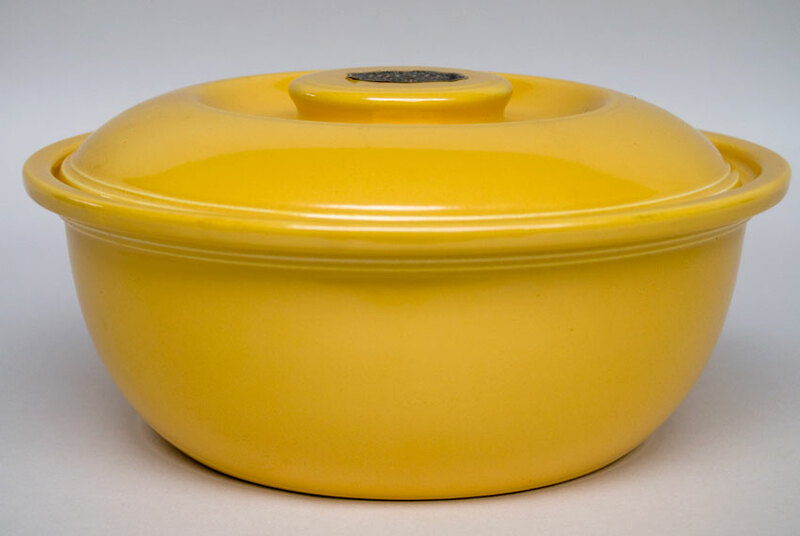 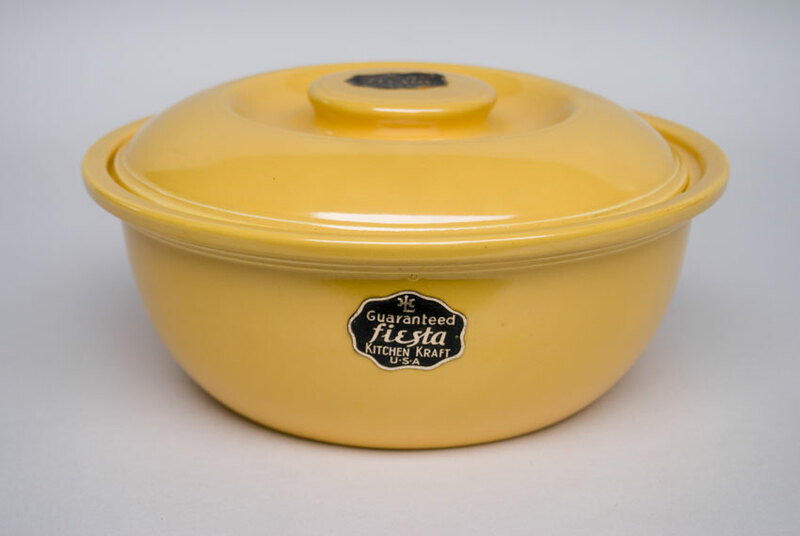 Unlike the casseroles in the Fiesta, Harlequin and Riviera lines, the Kitchen Kraft version has an inset lid, with the lid fitting within the rim of the bowl and not overhanging the outside edge. The lid is suprisingly hand finished, so the space where the fingers grip the handle can vary in shape. 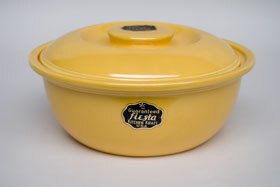 Impressed mark on the bottom, and this example in yellow boasts its original labels and perfect condition. A real treat to add pieces to your collection with the rare original stickers. 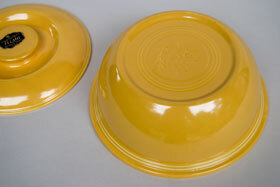 Expect pieces like this to skyrocket in value.